The sale by billionaire investor Wilbur Ross of his entire shareholding in Bank of Ireland was priced at 26.5 cent a share, Deutsche Bank, the placing's bookrunner, said today. Mr Ross said yesterday evening that he would sell his 5.5% stake three years after his pioneering investment kept the struggling bank out of state hands, but he added that he remained confident about its prospects. Mr Ross, whose fund specialises in distressed assets, was among a group of North American investors who bought a 35% stake only months after Ireland signed up to an EU/IMF bailout in an early vote of confidence in the debt-ravaged country. The placing was priced at a 6.7% discount to yesterday's closing share price of 28 cent, pricing the holding at €477m. 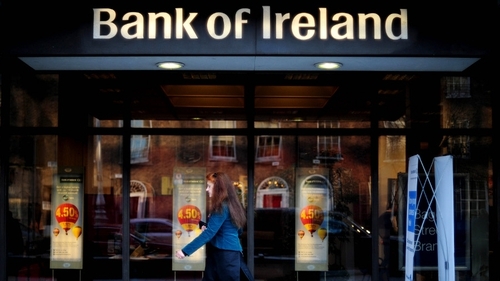 Bank of Ireland shares today closed 3.2% lower in Dublin after falling as much as 4.9% at the opening. Mr Ross, who had a stake of about 9% before first selling shares in the bank in March, sold those at just below 33 cent per share, meaning he almost tripled his investment having bought when shares were trading at 10 cent. Deutsche Bank acted as sole bookrunner on the placement of Mr Ross's 1.8 billion shares. Fairfax Financial boss Prem Watsa, who was also part of the 2011 consortium and who sold shares with Mr Ross in March, said that Mr Ross's decision was "entirely unrelated to the business" and pledged to hold his own 5.8% stake for the long term. Bank of Ireland, the only Irish lender to avoid full state ownership, said in March that it had been profitable in the first few months of the year and analysts say it is well placed to pass European stress tests this year. "Longer term, the removal of Wilbur Ross from BoI's share register may be a positive for the bank, reducing the focus and reliance of one large high-profile investor as the group returns to normalised operating conditions," Merrion Stockbrokers analyst Ciaran Callaghan wrote in a note. "However, more short term, his sudden departure is likely to raise questions over the future upside to the bank's equity valuation and the challenges that remain ahead, despite its recent return to profitability and capital generation," he added.